Roombreak, the exciting game among smartphone users, attract many iOS users attention. Aside from the interesting game, have you ever come across RoomBreak takes up large space on iPhone/iPad? According to the analysis from some Apple forums, we found that many iOS users are stuck in this trouble. Well, how to free up RoomBreak storage without deleting it? Fortunately, all to be good, there’s a fix for you. Tenorshare iCareFone is specially designed to optimize the iOS system. 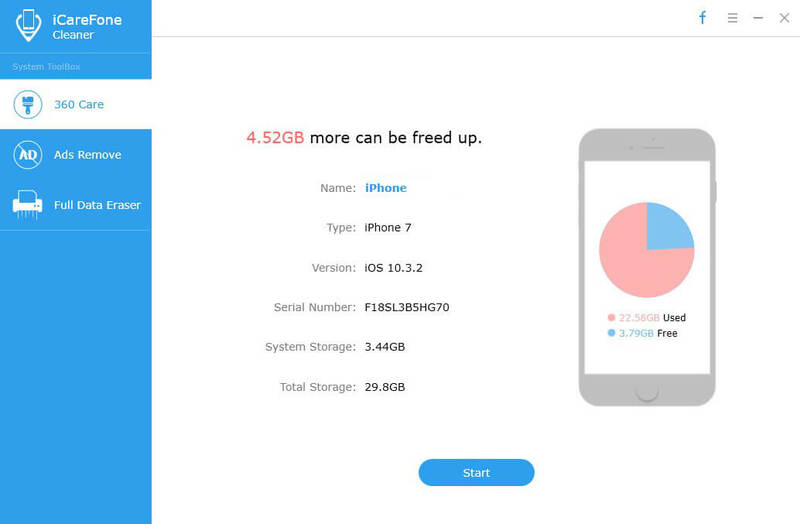 You can remove the unnecessary installation package, app cookies, cashes, crash logs, and temp files to free space the RoomBreak had taken up and make Roombreak run faster and more smoothly on your iPhone, iPad. First, download and install Tenorshare iCareFone for Mac on your Mac. Windows users go to the Windows version. Step 1: Connect iPhone/iPad to Mac via USB cable, click on “Speedup & Clean” on the interface when the program detects your device. Click the setting button and select “Scan”, you can set the apps that you want to ignore during the scanning and cleaning. Step 2: Select the Quick Clean mode to continue the process. Quick Clean allows you to take a short time to find the junk files that occupy storage space and slow down the performance on your device. 8 types of the junk files are included, APP Caches, App Cookies, App Temp files, App Crash Logs, Download Temp files, Photo Caches, User Storage Files, iTunes Radio Caches. Step 3: You can slide the button next the file type to OFF if you don't want to clean up certain kinds of files. When all is done, click "Scan Now" to move on. After scanning, you can click "Clean Now" button or X icon to selectively choose the items to clean. Step 4: After cleaning, you are allowed to see how many items have been removed and how much storage space has been reclaimed. Done! That’s all for how to fix RoomBreak full up space on iPhone. Come and give Tenorshare iCareFone for Mac a free download and try!